Robotdyn is one of the few Chinese companies that managed to make a name for itself. 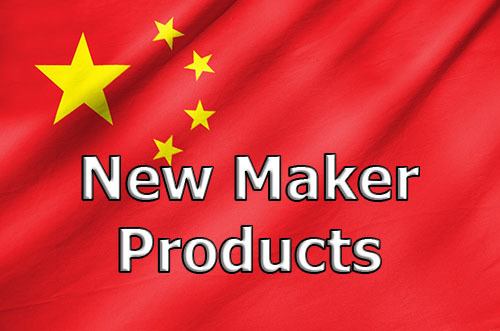 They produce high quality Arduino clones and various electronics modules. 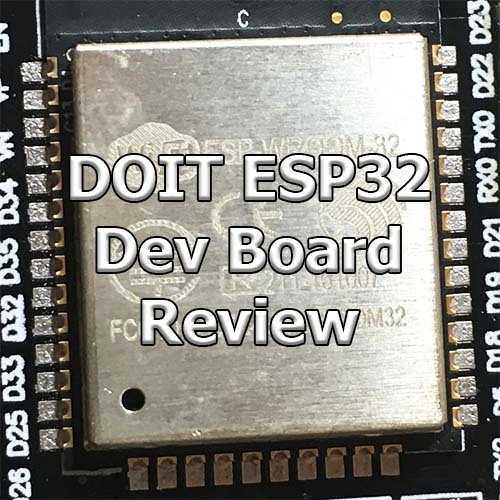 Today we review their 24 steps rotary encoder module. The first thing that pops of course is the price of the module. At About US$1, it is less than what you would pay for the raw encoder alone from typical suppliers such as digikey or Farnell. That being said, what is annoying regarding this module -and generally speaking all Chinese products share this issue-: they don’t include any documentation. 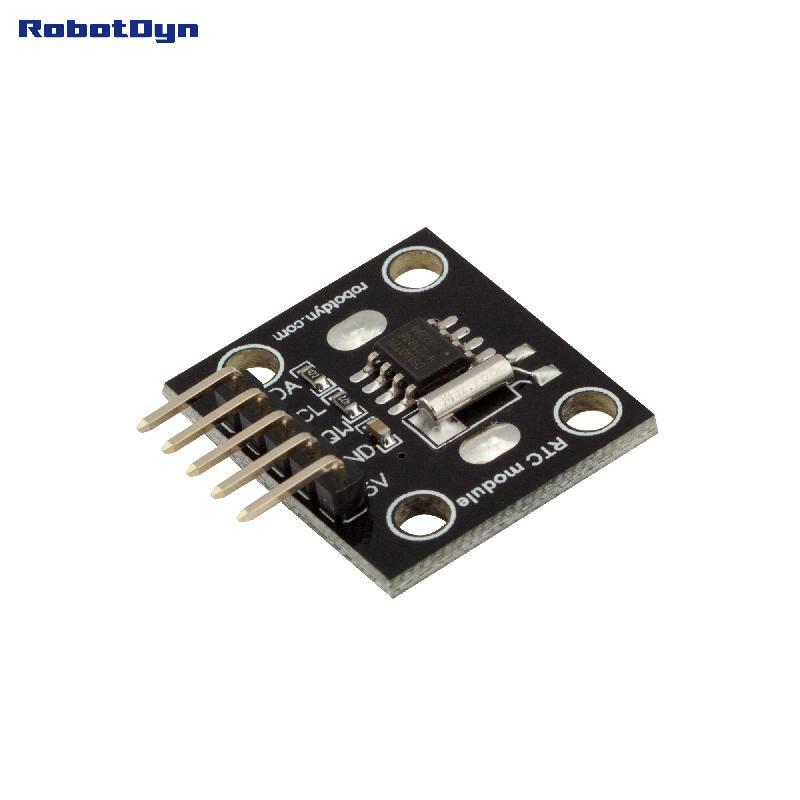 After receiving the module I can tell with almost 100% certainty that the rotary encoder supplied is a Bourns PEC12R-4220F-S0024, or at least a very convincing copy of it. When you use a “module”, you expect it to be almost plug and play. Otherwise why would you bother with modules and not use the raw components? Here lies the real problem with this module: the difference between using a raw encoder and this module is abysmal. Robodyn slapped two 10k pull down resistors and a cosmetic green LED/1k resistor couple, and rolled with it. This is a big issue because as a result, the output A & B (weirdly named CLK and DT on this board) are not debounced. 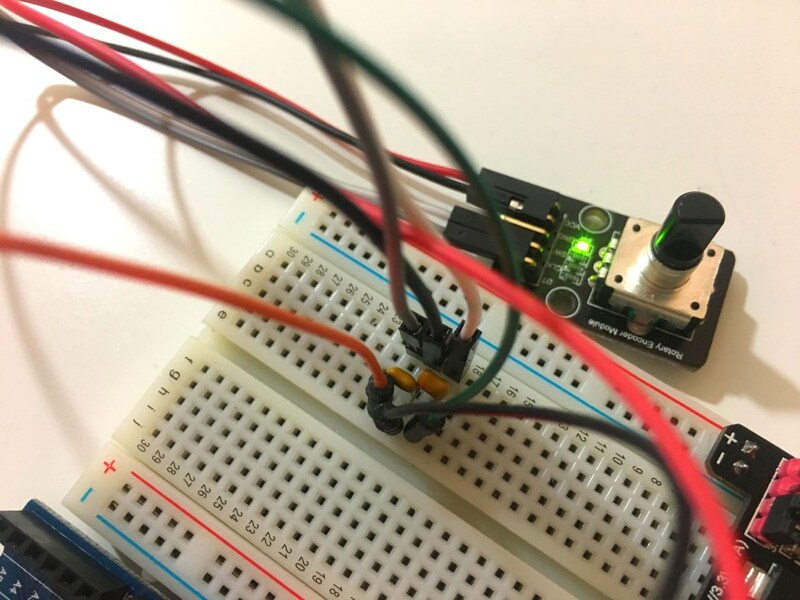 During my initial tests, I noticed that sometimes the microcontroller would not interpret correctly the binary code due to these bouncing issues. Fixing the module is fairly simple: some 100nF capacitors will work like magic on these pesky bouncing issues. However, it raises the question: why would you bother using these modules? You can simply build the resistor-capacitor circuit yourself. I do not recommend this module. Until a newer revision with built in capacitors come out this module can hardly be considered a module at all. For now, it will remain a pretty encoder soldered onto a piece of PCB. Note: after contacting the supplier, they said they will consider adding capacitors to the output. 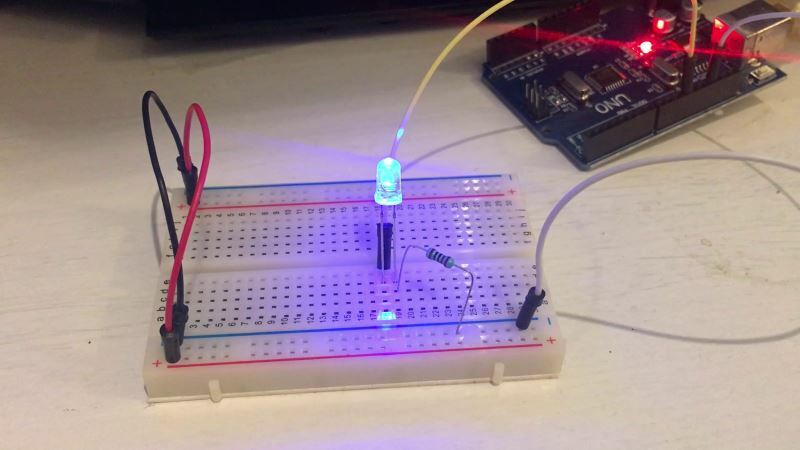 Faster sine wave on a LED!